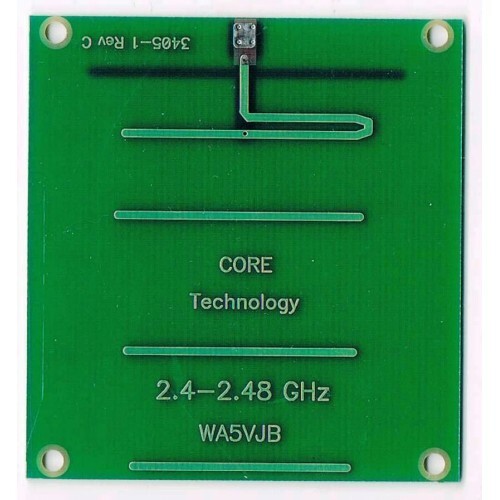 This 2400 - 2450 MHz UHF Yagi antenna printed circuit board antenna gives great performance from 2400 to 2450 MHz frequency range. 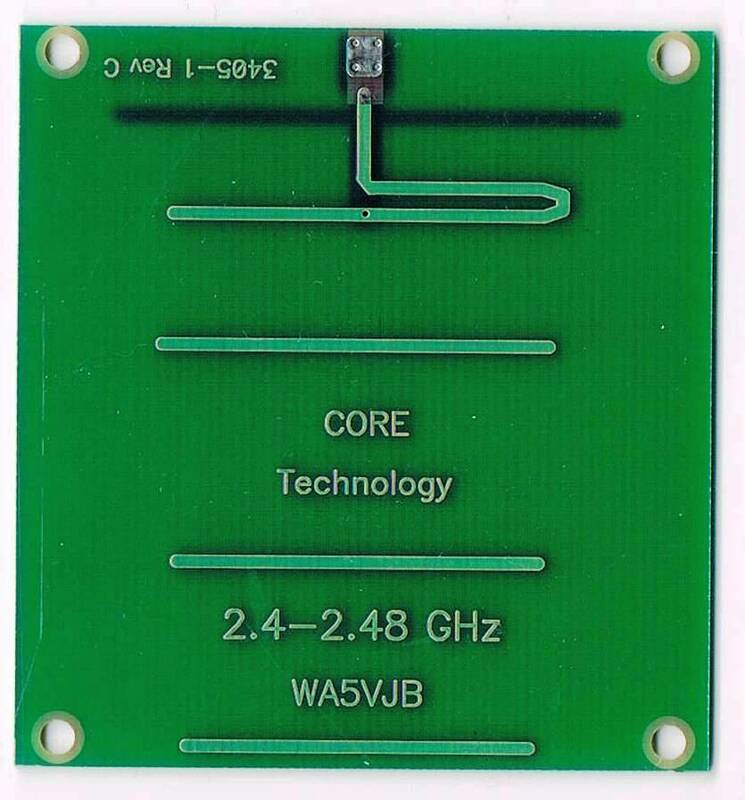 This frequency range is commonly used for wireless systems, wi-fi, 802.11b/g, RFID systems, satellite dish antennas, dish feeds, beacons and other UHF and VHF applications. This 2.4 GHz VHF antenna is 2 1/2" wide, 2 3/4" tall, a fraction of an inch thick. 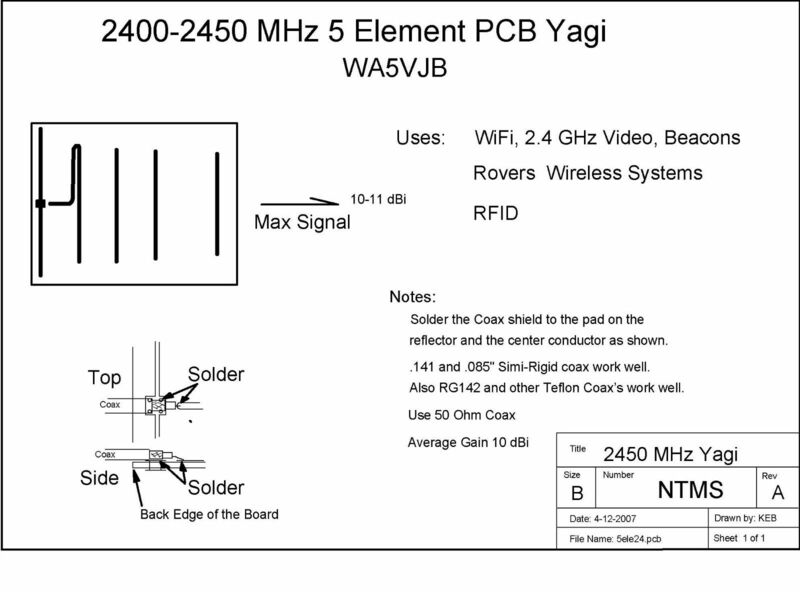 Designed to have coax directly soldered to the 2.4 GHz Yagi antenna. No connectors or cables are sold with this 2.4 GHz antenna. 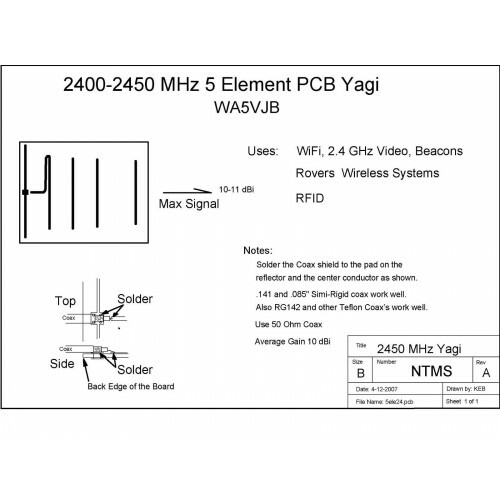 These PCB antennas by WA5VJB are sold individually.